o meditate, ponder, and reflect: verbs such as these are becoming increasingly significant in a fast-moving society such as ours. One usually associates with 'meditation' a kind of celestial relaxation music with an accordingly notional incitation to self-discovery. 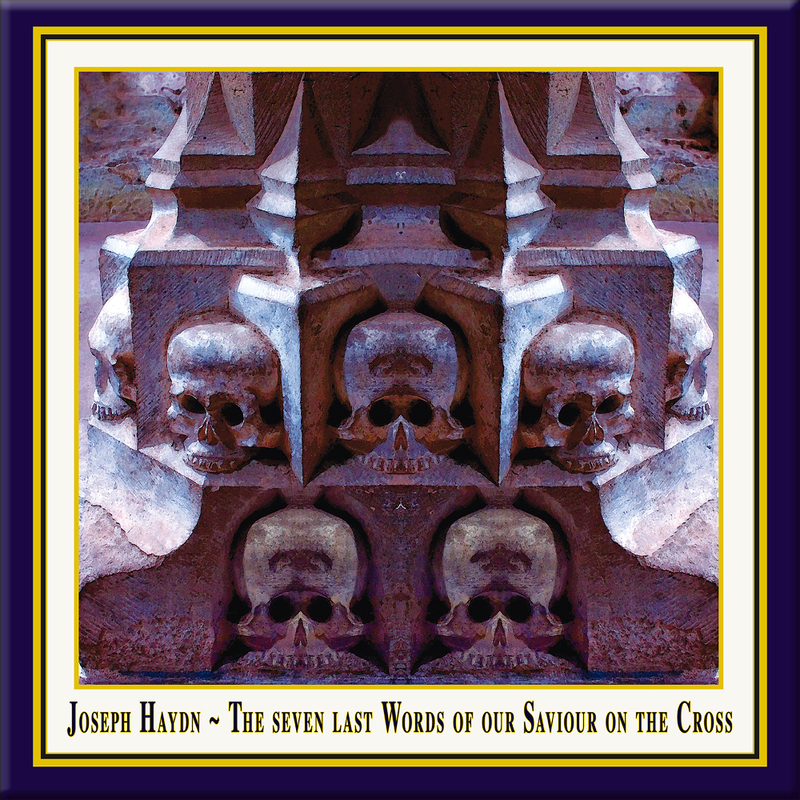 But what happens when a great orchestral work by Haydn, created to animate reflection on "The Seven Last Words of Our Saviour on the Cross", is heard in an authentic setting such as the 'Maulbronn Monastery'? When the performance becomes the setting for a contemporary discussion, based on those words, by one of the great orators of our time? 'Meditation' then takes on quite another meaning, one entirely in keeping with the purpose of the composition and its original occasion. "In those days it was the custom during Lent each year to perform an oratorio in the main church in Cadiz. The following preparations contributed in no small way to enhancing its effect: The walls, windows and pillars of the church were draped in black, with but a single lamp hanging in the middle to shed light into the darkness. At noon all the doors were shut. Then the music began. After a suitable prelude, the bishop mounted the pulpit, pronounced one of the seven Words and made some appropriate observations. The bishop mounted and left the pulpit a second time, a third time, and so on, and at the end of each oration the orchestra would start up again. My composition had to fit this description." Haydn resorted to a trick commonly employed in the 18th century: an instrumental composition would be written to follow the thread of an imagined text, dialogue, perhaps even an entire drama, whose contents the music would "speak". Music thus became a "narrative" art, the contents of which were accordingly quite concrete. 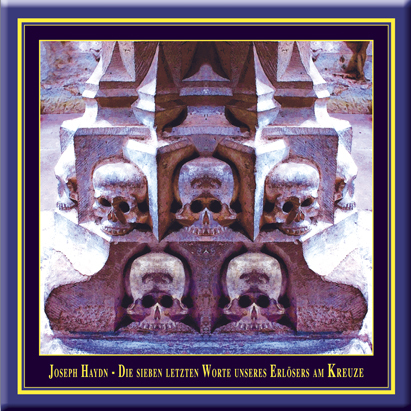 Walter Jens takes up this tradition with his modern observations on the words of Jesus, bringing Haydn's "observations" into the intellectual present. alter Jens, born in 1923 in Hamburg (Germany), studied Classical Philology and Germanic studies; he attained his doctorate in Freiburg 1944 and habilated as professor in Tübingen in 1949. Up until his retirement from the professorship in 1988 he held there the only chair for General Rhetoric in the whole of Germany. From 1989 to 1997 he was president of the Academy of Arts in Berlin. He was awarded honorary doctorates by the universities of Athens, Augsburg, Jena and Stockholm and numerous awards for his publications, which now encompass 40 works. Walter Jens is the modern incorporation of that now rare breed, poeta doctus. In addition to his main fields of rhetoric, theology and literature he makes periodic excursions into the fiels of science, politics and essays. Nonetheless he still describes himself as having 'slim talent'. He no longer writes novels or dramas as he did at the beginning of his career, nor does he commentate as 'Momos', the TV critic of the Zeit. In one's old age, Jens maintains, one should 'try to hang around where one at the least has a hope of being ahead'. That is why he concentrated his work later on speeches, essays and imaginary dialogues between great minds as Lessing and Heine. 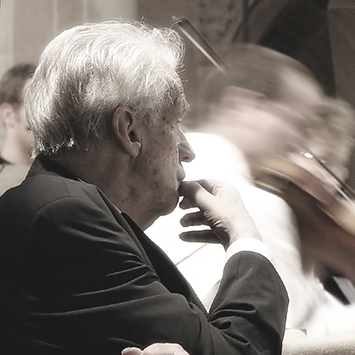 Walter Jens died in Tübingen (Germany), 9 June 2013.
rom its beginning in 1990, the aim of the members of the Bavarian Chamber Philharmonic Orchestra (German: Bayerische Kammerphilharmonie) was to create and perform their own program concepts at the highest possible level. Two years later, the first CD recording in co-production with the Bavarian Broadcasting Company was released and won several awards from the international music press. Since 1994 the ensemble is orchestra in residence of the festival 'L'été musical dans la valée du lot' in France. 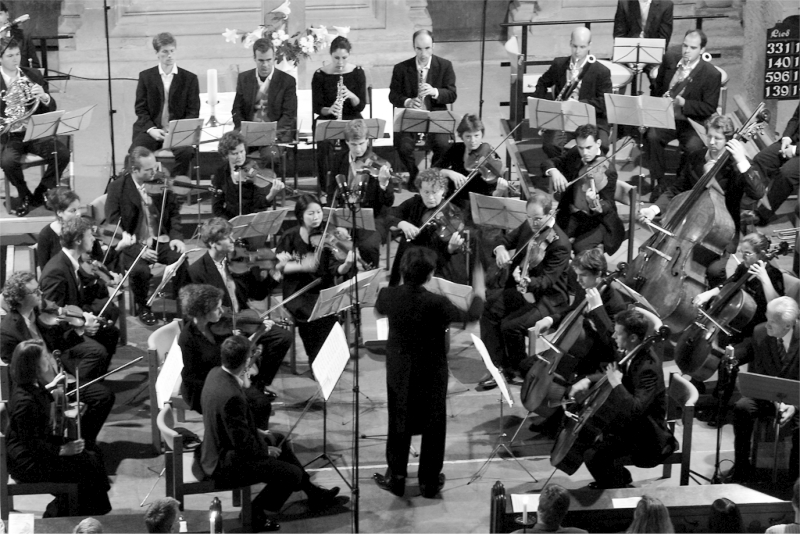 In 1996, the ensemble received the 'Prix Européenes' of the European Economy culture fund. Concerts all over the world, invitations to festivals, CD productions and the collaboration with renowned conductors and soloists such as Dietrich Fischer-Dieskau, Mischa Maisky, Mario Venzago, Michel Plasson, Règis Pasquier, Xavier Phillips and Mstislaw Rostropowitsch are testament to the high quality of the orchestra. CD recordings have been released with companies such as Deutsche Grammophon, EMI, Atlantis Art (Switzerland), Koch Schwann, Arte Nova, cpo and St.Louis Records/USA. Amongst these are the world premiere recordings of the concertos for one and two horns by Antonio Rosetti, were given five stars by the BBC Music Magazine and were awarded three times ten points at 'Klassik heute'. Besides their own concert series in Augsburg/Germany the orchestra played only this year with Chick Corea, Bobby Mc Ferrin, Martha Argerich, and at such renowned festivals like the Rheingau Musik Festival, the festival in Mecklenburg Vorpommern and the Münchner Klaviersommer. The Orchestra would like to thank the long-standing main sponsor Dr. Hannjörg Hereth and his Fazienda Ipiranga in Brasil whose generous support has enabled the orchestra's work to continue over the years. 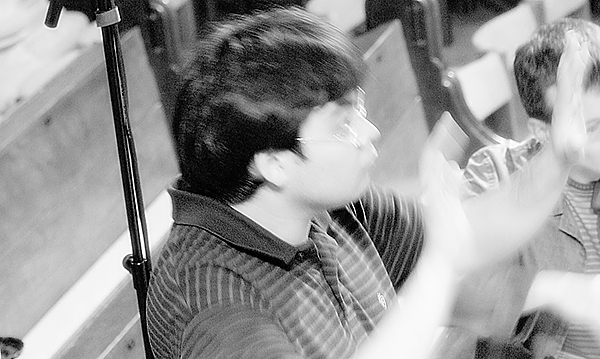 lan Buribayev is an exceptionally gifted young conductor. Born in Kazakhstan to musician parents, he has a mature knowledge and a deep understanding of a wide repertoire. He has already conducted major symphonic works by Brahms (including all four symphonies), Elgar, Haydn, Mozart, Mendelssohn, Rachmaninov, Shostakovich, Stravinsky and Tchaikovsky (all six symphonies). His infectious enthusiasm has endeared him to many orchestras, most of whom have invited him back and these include London Philharmonic, Danish National Symphony, Guiseppe Verdi Orchestra Milan, Dresden Philharmonic, the Gothenburg Symphony, Melbourne Symphony and Hungarian National Philharmonic. As an opera conductor, he has conducted Tchaikovsky Queen of Spades at Lyon Opera. At the start of the season 2004 he took up his position as Music Director of the Meiningen Theatre, where he is conducting new productions of Offenbach, The Tales of Hoffmann and Mozart Idomeneo. - The First word" or utterance was a plea for the others: for the jeerers under the cross, the murderers, those who were only obeying orders", the torturers, the guilty everywhere. The man speaking here, a thirty-year-old Jew, had been scourged, robbed of his dignity, humiliated in body and soul: soldiers, those predecessors of Boger, Eichmann and Hoess, had not just beaten but flogged him with canes and sticks, no, with leather whips, whips into which pieces of bone and lumps of lead had been worked; they had tormented him and then when he was steaming with blood had dressed him in a robe of scarlet cloth, pressed a cane into his hand and placed a straw crown on his head! He was to be a shabby ragged king, a bloody puppet for the soldiers to poke fun at; first beaten with the bladed whips and the metal-ball straps, then derided - Doesnt he look funny, the king of our grace, this caricature of a ruler which we can spit at, to pay it the disrespect it deserves?" Everything had bee turned on its head at this carnival in the sign of torture and terror: the laurel wreath was - a plait of thorns, with finger-sized spikes; the purple cloak - a dirty scrap of cloth; the sceptre - a cane for beating: falling at his feet - an obscenity. There in Jerusalem the games of the Holiest Inquisition and the pursuit of heretics were rehearsed. He was a nothing, the other one", the abandoned one who had been handed over to be destroyed: Greetings King of the Jews" - and later, then with the plaque hung around his neck, bearing in three languages (murderers are often pedantic) - Greek, Latin and Aramaic - the crime of which he had been convicted: Jesus of Nazareth, King of the Jews. And after all that, shortly before his destruction, he prayed on the cross for the murderers. The tortured jew made a supplication for his own kind and aliens, the motto of the Sermon on the Mount: Pray for them which despitefully use you and persecute you", spoken in the hour of his death. - The second word was a consolation for the fellow-sufferer; turning yet again to another, this time to a brother in pain: (it could even have been a woman or a girl, as the lean rabbi Jeshua, a friendly, shortish man could have been.) Were they common thieves, political prisoners, insurgents, reapers, those two at Jesus side? In any case, they were two out of thousands, who in those days, in murderous routine work, used to be hung up from trees - shortly after Jesus time often five hundred in a day: so many that the wood for the crosses was in danger of running out and the places of the execution, those countless places of skulls, of which no-one has told of the screams, were becoming scare. Golgotha stands for all passions, then and now: just as the image of one who comforts and the other in the second of his death receives new hope, outlasts time: a memento to all who - ecce homo! - gave a sign before the fire, the firing squad, the gas chamber. Jesus an the criminal: this was not highness facing lowliness; here were two people suffering, naked (maybe even without a loincloth) and bleeding, on the cross: their garments, sandals, belts an shirts had been divided and gambled for; but still - though not for much longer - they could both speak: I am telling you for sure, today you and I will be in Paradise". Jesus words were not to a priest, to a high official or an occupying officer, but to a human being with whom he shared poverty, torment and the fear of death. How strange it is to think, that the last man who embraced Joshua and kissed him was Judas Iscariot, the last with whom he spoke - other than God! - was one who had been abandoned, whose name is unknown. In the dust, therefore, not under heaven, Jesus was at home, long ago, in Jerusalem. oman, behold thy son! Behold thy mother! - The third word was an address to the faithful, a beloved disciple, John and to Mary the mother. The group around the cross was small: of disciples, of faithful followers, of resolute palladines - now there was no talking. One of the twelve, John (though he too failed to share Jesus loneliness in the hour of truth: he too had been asleep in Gethsemane) - John, then the mother, who is hardly mentioned - Mary rejected with her foolish family (Who is my mother? And who are my brethren?") and finally the women, figures on the sidelines, who appeared and disappeared. But now, in death, everything is suddenly reversed: the most distant become the nearest; it is the woman who abide, at the foot of the cross, and not cheerful disciples; at the sign of the death one common feature takes shape: the brother-and-sister community underneath the cross, for whom concepts like mother" and son" take on a new meaning with far transcends flesh and blood, origin kinship. Family: from now on, reflected in Mary and John, the new mother and the new son, that is the community of those who pledged love fellowship under the cross - the fellowship which quite naturally disempowers either family ties (the little home community which tried to recall Jesus, who had been certified insane) or equally a political community which sees only friends inside and only enemies without. In contrast to this the following motto applies from now on: woman you are looking at your son! Look at your mother! nd Jesus cried with a loud voice, saying: Eli, eli, lama sabachthani? That is to say, my God, my God, why hast thou forsaken me?" - The fourth word was a cry - and a prayer. The crucified man, the suffering servant of God, tormented and persecuted for his fairness, resorted to the words of that twenty-second psalm with the aid of which the community described Jesus martyrdom and said: A reproach of men am I, and despised of the people. I am poured out like water, and all my bones are out of joint, my heart is like wax; it is melted in the midst of my bowels. My strength is dried up like a potsherd; and my tongue cleaved to my jaws; and thou has brought me into the dust of death. For dogs have compassed me: the assembly of the wicked have enclosed me: they pierced my hands and my feet. I may tell all my bones: they look and stare upon me. They part my garments among them, and cast lots upon my vesture. My God, my God, why hast thou forsaken me? Why art thou so far from helping me, and from the words of my roaring?" Cries and prayer; despair - and yet, at the end the certainty of being cared for - a certainty which turns the cry into sighing and the sigh into the quiet wording of a prayer... for a while at least: for the last, the harshest cry which pierces flesh and bone - that utterance of Jesus in the hour of his death which has been authenticated with the greatest certainty, that cry without words - is still to come. - The fifth word was the shortest: a request for help. A man begs for a mouthful of water. The torture is over and also the walk to Golgotha, during which he collapsed under the weight of the cross. The cross: the crossbeam to which the hands were nailed. Nailed first, after which the wood, together with the body, was fixed high up on the post: Jesus on his way to be executed must have recognised it from afar, the post rammed into the ground, with the block of wood in the middle which was designed to keep the crucified person conscious as long as possible. The intention of the execution specialists who had studied anatomy and psychology was that the body should not disintegrate too quickly. It is no wonder, that in the face of such torture a Roman shortly before Jesus lifetime stated: Even the word cross should be kept away not only from the bodies of Roman citizens but from their thoughts, eyes and ears." Even the word Cross, which meant as much then as gassing does nowadays: suffocation in the oven. In this position - with nailed limbs, cowering on the block, in the face of suffocation - Jesus asked for a sip of water, said I am thirsty" and was given - vinegar and gall. It must seem as if the mockery was being continued. But we cannot be sure of this: after all, it could be that a soldier, a brother of the remorseful man who was being crucified with Jesus, made a gesture of mercy. Vinegar need not be a martyrs drink; it could be light wine, a refreshing drink for simple people. Im thirsty." Then drink. Ill hold the sponge to your lips. The vintners drink it too, and the reapers dip their bread in it." Was that how it happened? Not like in the sixty-nineth psalm: They gave me also gall for my meat: and in my thirst they gave me vinegar to drink." I believe, just as I believe in the pious rebel on the cross, in the soldier who showed mercy. - The sixth word is an amen at the end of a long monologue. Death is near; the martyrdom, the torment amidst the curious onlookers, the abandonment to the applause of the jeering watchers, the torture - they are almost over. After a journey of suffering the destination is in view, a journey which has prophesied in the very first night, that night in Bethlehem, in spite of all bright declarations of peace which shone through the skies. It is finished. That applied not only to the scourging and the nailing to a piece of wood which had been measured exactly (a piece of tree was more worth than a human being) but also to the fear which drove Jesus out into the fields in the darkness far from people, it applied to the premonition of sweat and blood that night in Gethsemane, it applied to the tributes to human frailty and to a persons fear, from which - what a consolation for us! - not even that man was free, that Jew on his way from Bethlehem to Golgotha, about whom Martin Luther - one who like hardly another Christian soul must have known the meaning of fear! - said in his Good Friday sermon in April 1522: a fine pure man" was our Lord Jesus, which is why he so grieved and quailed in fear of death"; for fear is greatest when a person sees that death opens up his jaws and wants to devour him," and Jesus felt this fear and sadness, much more strongly so than had a man been tried by it", but that was reserved for him who did not turn insane." no. his sense remained louder, clear and pure." It is over. I am thirsty. Those are simple, gentle words, which Jesus spoke on the cross. No triumphal appeal but human speech. Words which - to our shame - have been echoed millions of times, up to this very day. The echo of the failing voices of the tortured. - The last word, like the first, was addressed to his father: but now not a request, waiting, accepting, hoping, but a farewell and equally a turning-away from earth to heaven, from man to God, from the dying to him who guarantees life after death. The last word then was for the community, a sentence which should be spoken in the sense of the thirty-first psalm: In thee, o Lord, do I put my trust: let me, never be ashamed. Pull me out of the net that they have laid privily for me. Into thine hand I commit my spirit: thou hast redeemed me o Lord God of truth." The last word was a word of humility - but also a word which should be thought upon: looking into the eye of the other God, the God who suffers with the crucified man, not the powerful one, the Lord God, but the God who is crucified with the man, the God who is there in the death cells, then as now, and who walks with the condemned, not the God of the altars who looks down dispassionately upon it all, but a sharer in human need and suffering, of man and woman alike; not the father of the battles, but the Pietà and mother of pain in heaven - a moving double image which points to the unity of powerlessness and redemption. Father, into thy hands I commend my spirit: Jesus the Jew who said this knew the oneness of failure and exaltation, of the power, which abides not in glory but in struggle, fear and weakness. And it is this, the companionship of mourning unto death and I give my soul to your keeping" which moves the listener of the passion and compels the witness: Jesus", Blaise Pascal said, will be in mortal torment until the end of the world; who could sleep at such a time?" Who indeed in such a storm of passion, which at the same time is such a tremor of hope for us - perhaps? For as things stand at the moment the creation could be rescinded. "Father forgive them, for they don't know what they do." "Verily, I say unto thee, today shalt thou be with me in paradise." "Woman, behold thy son! Behold thy mother!" "Father into thy hands I comment my spirit."